Mamas were put on this Earth to keep the peace. Everyone behaves around mama even my pesky brother el Tigre who normally stalks me, just living for the chance to pounce. Keeping order? No one is better! I no mess with the Mama! OK? OK! Somehow she knows when I’m off to do something I shouldn’t, even before I do it. And I just get the EYE and I slink away out of sight. But it is that talent that keeps things running smoothly and everyone looked after. Happiness is so many simple things. I’ll make me a list here. You may laugh at my notions, but when you are done, give each of these another thought. Remember a time in your life when you enjoyed these and see if you can hold back that smile! Sooooo? I have my own reasons for each of these, but admit it, Chicos, am I right, or what? Mondays get a bum rap. It is one day of our busy week that we often dread. Believe me, I don’t usually look forward to my family members going to work and school for so long either. And my walks sometimes don’t work out because when my peeps get home late in the day sometimes it is raining or there is some must-do event going on. But looking outside my window today – and it is not raining 😉 – I can see birds singing, butterflies floating by, a gentle breeze swaying the big oak in the front yard. Yes, even the pesky squirrels are out there living life to the fullest. And it IS beautiful. Every day is precious. SOOOOOO, maybe if we CHOOSE to make this Monday different, we’ll notice all the wonderful treats there are for us to see. Make this Monday a Happy Monday! Write a post about this program and you’ll be helping pets in need! Attention, Chicos! DogTipper.com shared this on facebook today. And speaking awesome dog commercials, I think I’ve found myself a new agent! Don’t forget! Write a Post, Help a Dog. Muchas gracias, Amigos! Have I mentioned how much I love the dancey-dancey. I get that from my Mom. In fact, we have a ballet dancer (well actually two if you consider me and my tutu) AND a break dancer right here in our household. We’re very proud. You should see us all lined up on the couch watching our favorite shows – Glee and So You Think You Can Dance! I love them! I even tried to put in a plug once to be a guest judge on SYTYCD. I do have to say, we’re not all that crazy about Dancing with the Stars. I don’t think ANYONE needs to see David Hasselhoff doing the foxtrot. And my great-abuela would turn in her grave should Michael Bolton be allowed to desecrate the tango! But I’ll keep my eyes closed and think happy thoughts as their new season gets underway. Back to our familia, we just can’t help our love of dance. It is just in the latin blood. I can’t even walk across the room without a rhythmic wiggle and with every happy tail wag comes a sashay of my toochie. I’m just build that way. And I won’t go into the wild and crazy dancing that goes on at the big Christmas party every year. But speaking “of in the blood,” check out this four-legged doing the two-legged merengue! Shake it, shake it .. You go chica!! Love Chihuahua-style. There is just nothing like it. 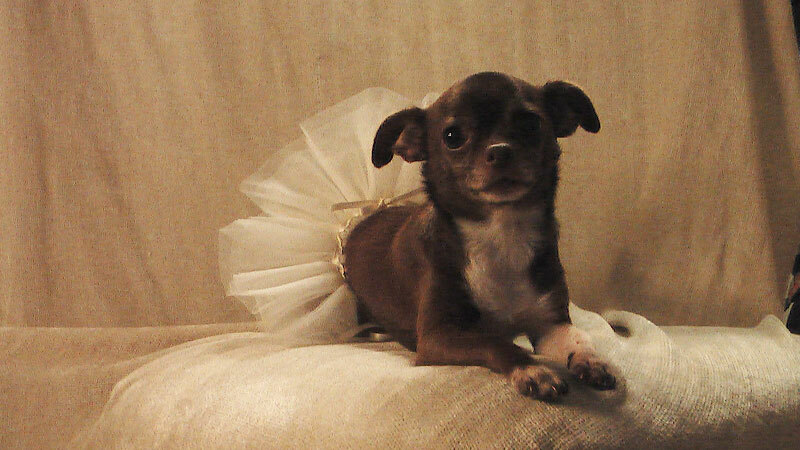 I just had to take a moment share this amazing Chihuahua story from Jacksonville.com. It brought a tear to my eyes, chicos. Love it IS a miraculous thing. Take a lonely man. And a lonely rescued animal. Add in the quirks of fate that brought them together and BAM, it is Kismet, and better yet, it is true love! Read this story and hug your loved ones a little tighter. And remember, it is NEVER too late for love. Rescued animals ROCK!!! 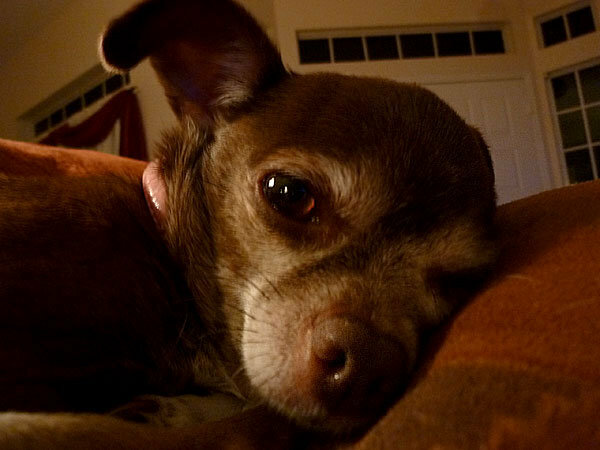 You are currently viewing the archives for September, 2010 at Chihuahua Wisdom Blog.